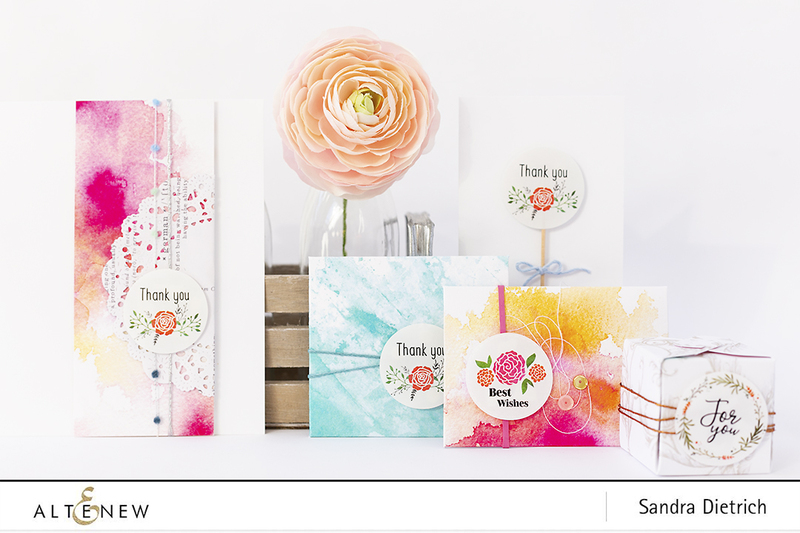 Hello and welcome to our November 2018 Stamp and Die Release Blog Hop. You might have come here from Kristina. 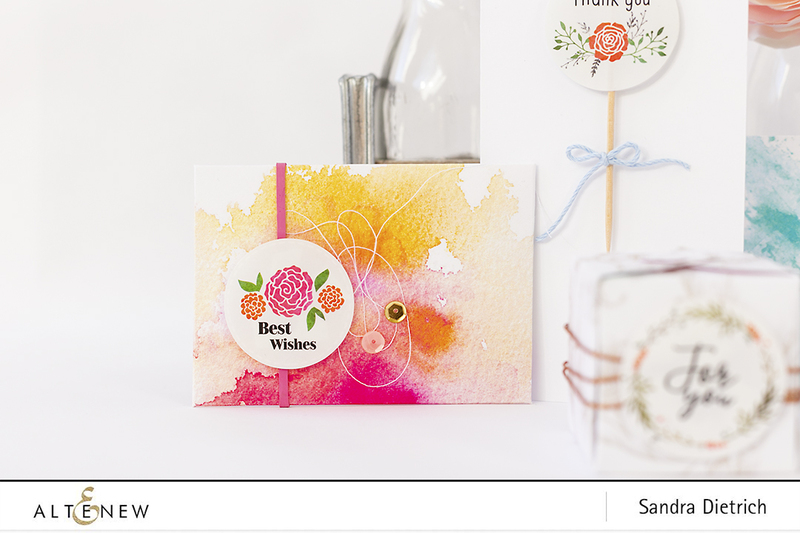 And now it's my turn to inspire you with handmade envelopes and cards using the Delicate Bloom Stickers. I used the Envelope Punch board from We R Memory Keepers to create this cute little envelope. In addition, I used one of the pretty Delicate Bloom Stickers and a patterned paper from Altenew. Next up is a fun gift box. To make the box, I used the Envelope Punch board from We R Memory Keepers, some copper baker's twine and the 'For you' sticker from the Delicate Bloom Stickers. 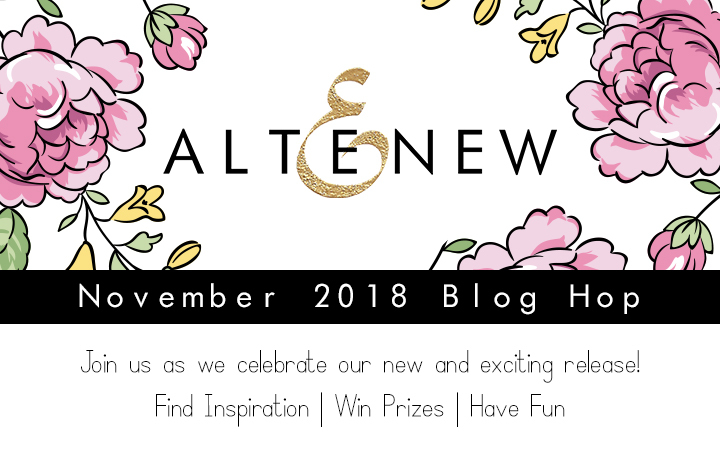 The next stop on your blog hop journey is over at the Altenew Card Blog. 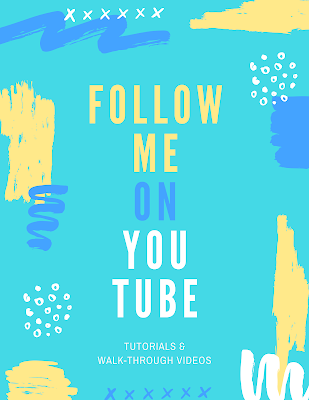 THANK YOU for stopping by on my blog today. Have a wonderful time. Yours Sandra. Gorgeous creations! Lots of inspiration - thank you! 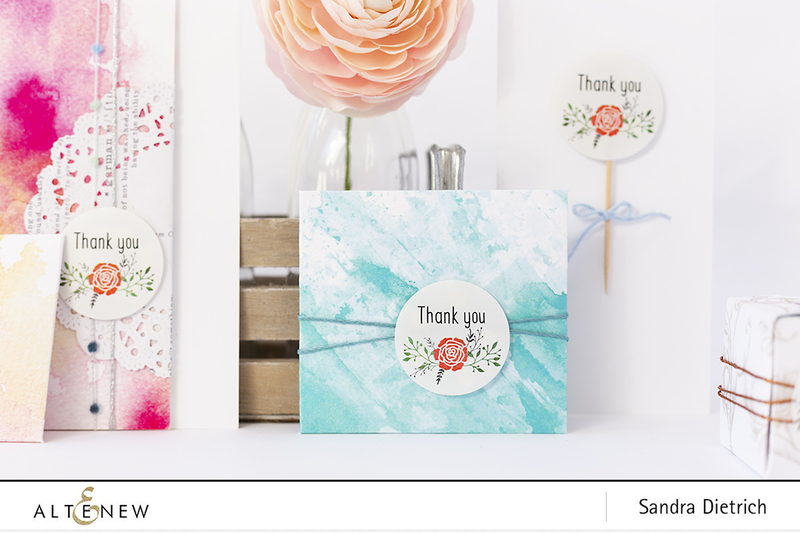 Great use of the stickers to make cards - the backgrounds are so pretty and the stickers are a nice focal! So many great ideas! Love all of the little goodies you made, I especially love the "lollipop" design with the toothpick - so clever and adorable! 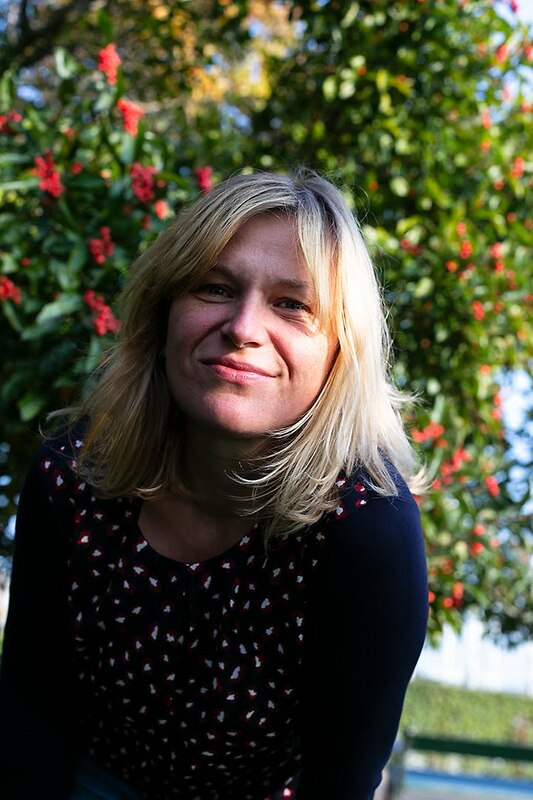 Thanks so much for your fantastic inspiration! Great projects, love the way the stickers worked out for all the cards. Thanks for sharing. Beautiful cards, great release! I especially love your pretty blue Thank You card!! These stickers are so much fun!! Love your creations!! love the new stickers and all your fabulous projects! Thanks for the inspiration Sandra! Love your use of the stickers on the beautiful backgrounds! Love the cards. You incorporated the stickers very well. Your colored backgrounds are so pretty and I like how you've creatively used the stickers. What a great idea with the stickers and I LOVE the colors! Love the watercolors! Very pretty. Gorgeous cards! !I Especially love the color work! Oh what beautiful and wonderfully creative cards - fantastic! Love your cards and the way you used those stickers from the new release. Thank you for your inspiration! What a fun way to use stickers. I especially love the toothpick! How clever! TFS! Your cards are just lovely. 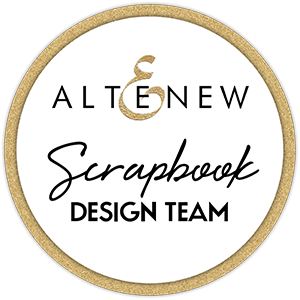 Thanks for inspiring us using these new Altenew products! All these cards with stickers is just fine . wonderful way to use the new stickers-I think - no - KNOW I need these! 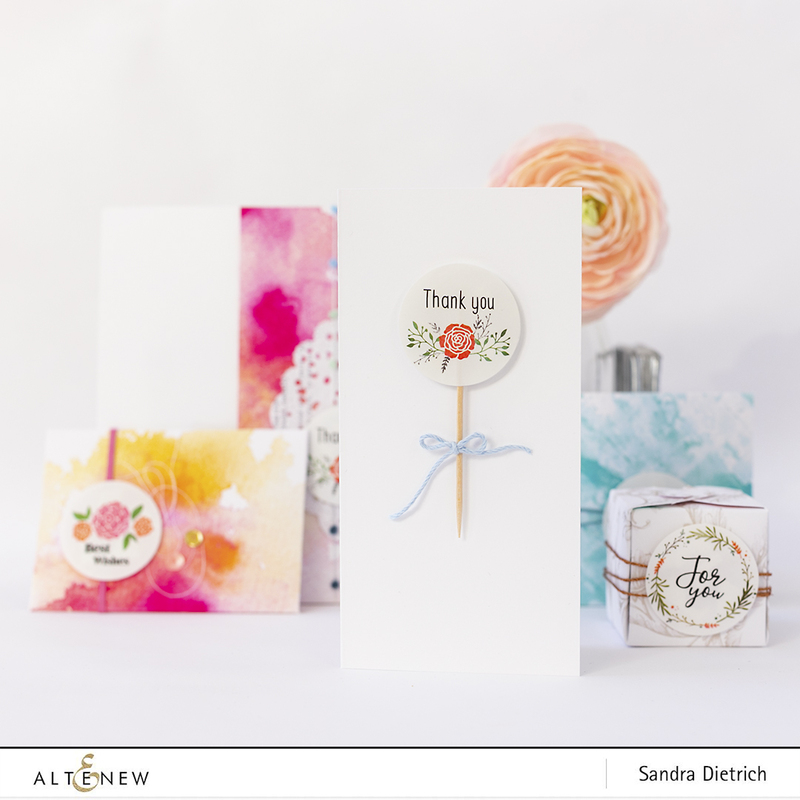 I loved your card examples using the new sticker line from Altenew. 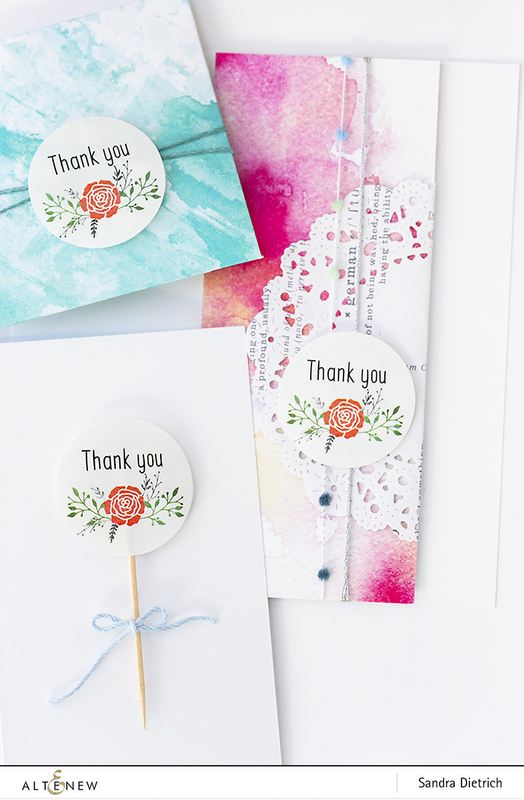 Your cards are so pretty and I especially like the one that looks like a lollipop and says Pin It. Thanks for sharing your time and talent with us. I loved your cards using the stickers from Altenew. They turned out so lovely. My favorite was the sticker with the stick it in. It looks like a lollipop. Just darling. Thanks for sharing your time and talent with us. I love the watercolor backgrounds! Thanks for making samples for us. Your style is very beautiful and unique. Thanks for sharing! Very pretty cards! And isn't it fun to have stickers to use? Altenew just keeps adding more and more fun elements to their product line. 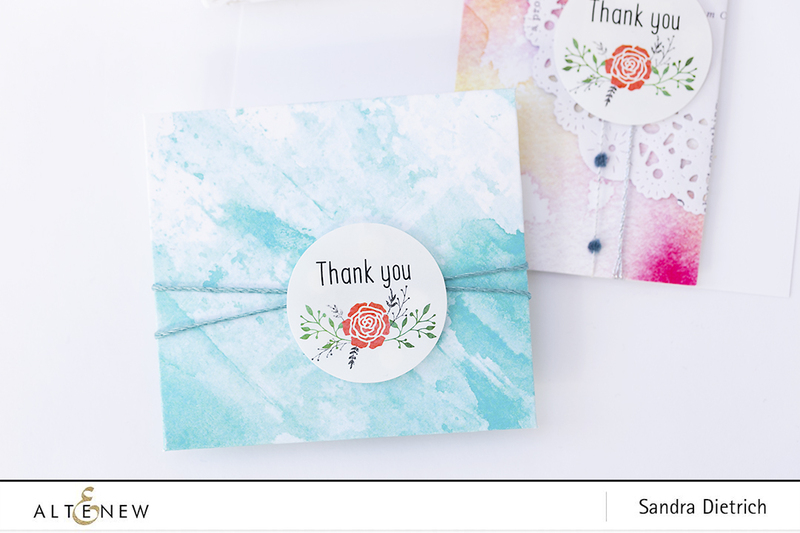 Super lovely cards using the new stickers and your gorgeous backgrounds. Thank you. love the envelopes! especially the blue one! Very pretty projects. I so enjoy seeing them! Lovely cards!! Love the new stickers from Altenew. Love these, unique, like mix media projects. Love all you little elements in the cards and the different sizes of cards. What a great idea.... Love how you used the stickers for the envelopes and box... 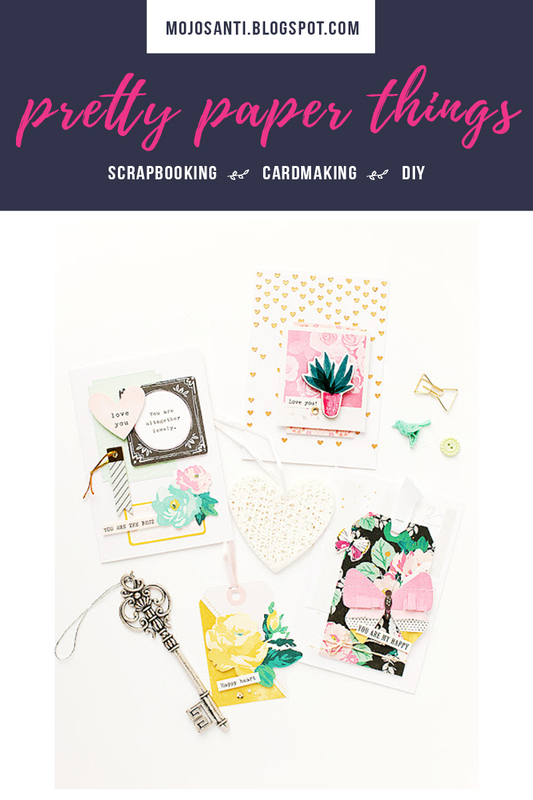 The card is simple and quick to make but oh so darling. Love it all! Could even make cupcake picks with the stickers and toothpicks. Your cards are beautiful. I'm impressed with the creative way you used the stickers in each card. Love the card that looks like a lollipop! Just love how you used the stickers on these cards. Beautiful and creative!! Love your enthusiasm and the cleverness of the design!! Beautiful cards. Your backgrounds are amazing. Love who you used these sticker. Creative. You made beautiful cards from something so simple as a sticker. 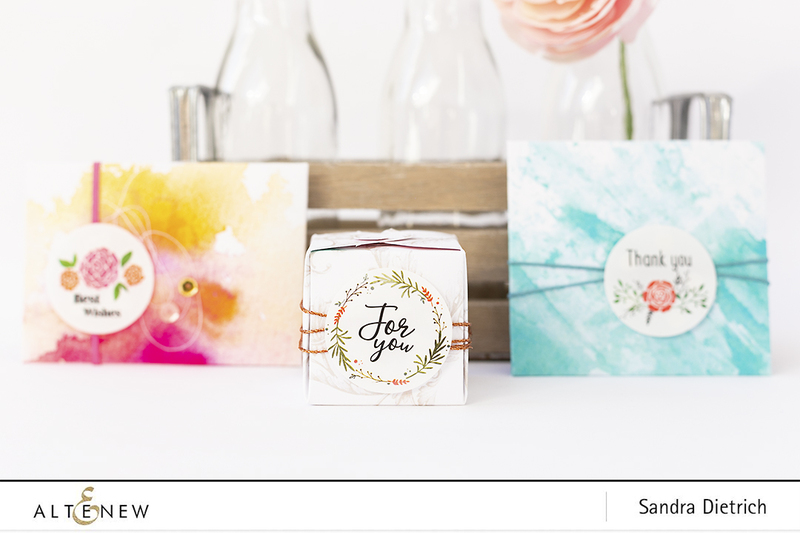 You made beautiful cards from something so simple as stickers! Thank you for all the clever ideas for the stickers. When I saw the rolls in the release, I couldn't imagine what to do with them. Beautiful cards! Love your designs. Gorgeous cards and gift boxes, LOVE the stickers! Beautiful cards! 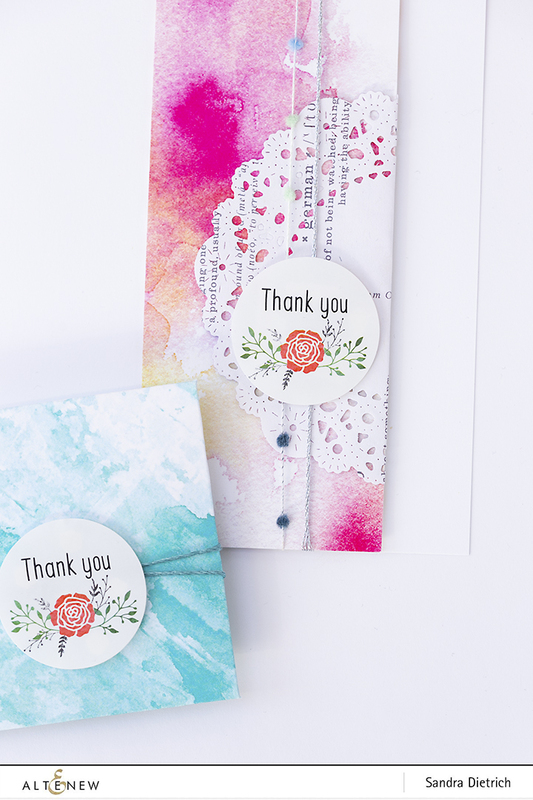 I really love the colors and doily with the thank you card! You have created such beautiful projects to inspire us all, thank you. Fabulous ideas using these stickers. I love the beautiful watercolors and the unique way you used the stickers. Thanks for sharing! What great cards! 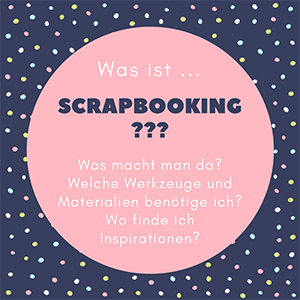 I sometimes find it hard to take premade items like stickers and patterned papers to make something that still feels cohesive and special, but you did a fabulous job with this. Thanks for sharing these great ideas with us! What a fabulous release! I absolutely love the engraved flowers and handpicked bouquet stamp sets & the leaf medallion die! Love the way you've used the stickers! Your projects are so beautiful!